Audrea Holmes, a native Houstonian, received a Bachelor’s degree in Chemistry from The University of Oklahoma. She received her dance training at West University Dance Centere under the direction of Evelyn Ireton starting in 1994. Audrea performed with Mrs. Ireton’s youth company, Bayou City Dance Company, starting at age 11 and was invited to join Exclamation Dance Company at age 15. For seven years, Audrea actively performed with Exclamation Dance Company throughout the Houston area. 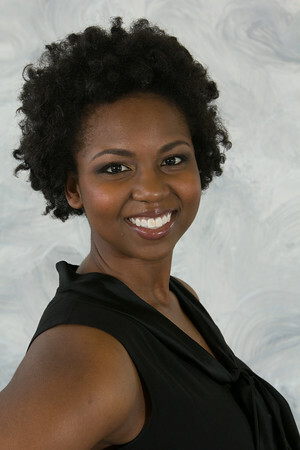 In 2006, she was awarded a gold medal in Dance in the Houston NAACP Houston Branch ACT-SO program. Since 2006, Audrea has performed as a part of the ACT-SO Alumni at the Houston Branch ACT-SO Awards Gala. During Audrea’s collegiate years, she received training from OU School of Dance and Weitzenhoffer School of Musical Theatre faculty, including Austin Hartel, Derrick Minter, Rebecca Herrin and Amy Reynolds-Reed. Audrea received additional dance training from the Ailey School and master teachers including Dudley Williams, Troy Powell, and Joel Hall. Actively involved with her collegiate sorority, Zeta Phi Beta Sorority Inc., Audrea performed at numerous campus events throughout her years at OU. During the summer of 2014 Audrea received her Week 1 Horton Pedagogy Certificate. She is excited to be a part of the Exclamation Dance family once again and this is her second season as Rehearsal Director.